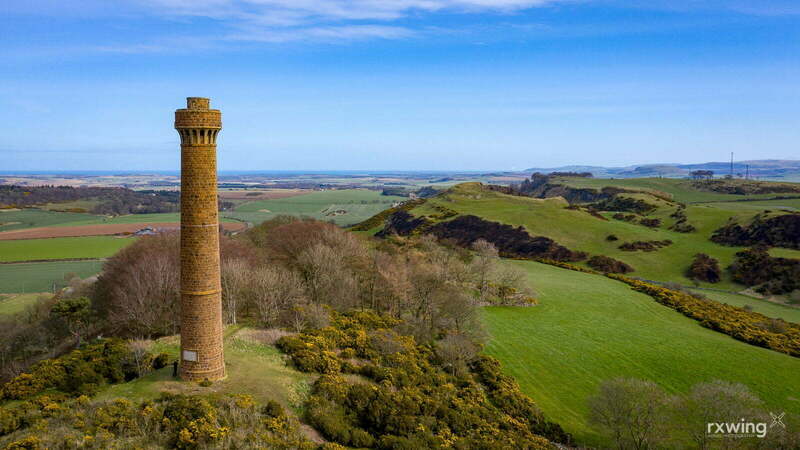 The Hopetoun Monument, 95 feet (29 m) tall and situated on Byres Hill near Haddington. Erected in 1824 in memory of John Hope, 4th Earl of Hopetoun (1765–1823). The monument is often referred to as the Garleton Monument or the “Galla Monument” by locals, after Garleton Farm on Byres Hill.